On a side road in Kensington lays the newly opened Ashburn hotel. With 38 bedrooms this hotel has had a complete makeover and the new owners have turned this property into a luxury boutique hotel. Hosting dark wooden characteristic furniture combined with new technology, comfortable beds and modern pieces in all the bedrooms, this hotel aims to get the small touches right; the big tea cups, the surprise turn down gift, (different every night) to the cozy bathrobes and slippers. 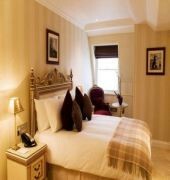 Ashburn Hotel has been beautifully converted from a fine 19th century London townhouse and offers luxurious bedrooms, with all the facilities you would expect from a prestigious new 4-star hotel. There is a delightful drawing room, serving light meals all day and drinks from the bar 24 hours a day for resident guests; there is also a peaceful, airy breakfast room, as well as complimentary wireless internet access and air-conditioning throughout. Motivated, dedicated service is the key to our character and quality. The Ashburn Hotel is a Tourist, Limited Service, Business, Boutique, City hotel, Honeymoon, Design Trendy, Child Friendly hotel. Located in London area. Shopping is within walking distance and the nightlife/restaurants are within walking distance from the hotel. Descriptionclass="small" style="text-align: justify; font-size:11px;">On a side road in Kensington lays the newly opened Ashburn hotel. With 38 bedrooms this hotel has had a complete makeover and the new owners have turned this property into a luxury boutique hotel. Hosting dark wooden characteristic furniture combined with new technology, comfortable beds and modern pieces in all the bedrooms, this hotel aims to get the small touches right; the big tea cups, the surprise turn down gift, (different every night) to the cozy bathrobes and slippers. 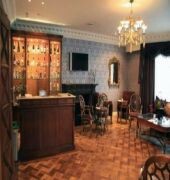 Ashburn Hotel has been beautifully converted from a fine 19th century London townhouse and offers luxurious bedrooms, with all the facilities you would expect from a prestigious new 4-star hotel. There is a delightful drawing room, serving light meals all day and drinks from the bar 24 hours a day for resident guests; there is also a peaceful, airy breakfast room, as well as complimentary wireless internet access and air-conditioning throughout. Motivated, dedicated service is the key to our character and quality. Took my mum here for a trip to London Motherâ€™s Day gift. The hotel was spotless and elegant looking but also I noticed a lot of damaged furniture (mainly mirrored sink units with smashed glass), which could be replaced. Also the beds were uncomfortable (rock hard mattresses) so we didnâ€™t get a good sleep and also the air con in the room wouldnâ€™t work so the room was freezing as the old windows let in a draft. 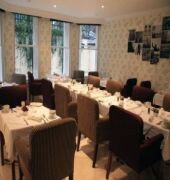 Breakfast was lovely really enjoyed that and good service. I just feel I paid a lot for an average experience. We had a wonderful stay. Staff were very friendly and helpful. The room was perfect - spotless and comfortable bed. Really well situated, only a 10 minute walk to the Royal Albert Hall and 5 minute walk to the museums and Gloucester Rd tube station. Continental Breakfast was excellent and complimentary evening bar drink was a lovely bonus. The bar lounge area was a nice place to unwind and the prices were extremely reasonable (especially for London!) Would not hesitate to stay again or recommend. Thanks for a lovely stay. Thank you for your wonderful review. It is great to hear you enjoyed all the benefits of our superb location and the complimentary amenities in the room. I am glad the service team looked after during your stay. It is always a pleasure knowing that our guests are satisfied with our services. We all look forward to greeting you with a warm welcome soon. Please let me know if there is anything I can assist with on your next reservation at the Ashburn Hotel. The room is very clean and has an elegant feel to it. Also, the water pressure is very nice in the shower. The continental breakfast has a very nice variety with fresh fruit, pastries, cereal, yogurt, toast, meats, and cheese. They also offer other breakfast items that are at a cost that sounded great but I did not get any while there. The hotel is also very close to a grocery store which is convenient if you are like me and like to get lots of snacks. It is also very close to a subway station which makes it easy to get around London. 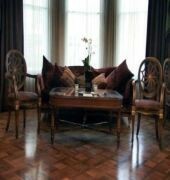 Next time I am in London, this will be my go-to place to stay!! Thank you for sharing your 5-star review of your recent stay at The Ashburn Hotel. I am absolutely thrilled to read your kind words about your stay with us. I am delighted to hear that you experienced an excellent level of service from our team. Here at the Ashburn we really try to create a 'home away from home' for our guest and I am thrilled to hear that we succeeded. We received a very lovely welcome, very efficient quick, check in and we were able to check in an hour early. The room was lovely, perfect size, very quiet, good facilities and great shower. The bed was VERY comfortable and the pillow mist was a lovely touch as was the complimentary drink!! Continental breakfast had a very good range. The best thing about this hotel is the service, in every department the staff were incredibly friendly and helpful. I am absolutely thrilled that you loved our fantastic central location, perfect for sightseeing and find our staff incredible friendly and helpful. We consider that it is our mission to make our guests feel welcomed and I am happy that we accomplished that across all the aspects of your stay. I hope we will have the opportunity to welcome you again very soon. When you would like to do so, please contact me directly as it will be my pleasure to oversee the arrangements of your next reservation. The room was small but more than adequate. Breakfast was included and also very nice- European continental with ham and cheeses available? A cooked meal was available for an extra charge. Room had a fridge and kettle- nice shower. 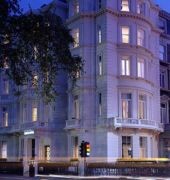 But the biggest asset was the location- just a few minutes walk from Gloucester Rd tube stop with service to several lines. Free welcoming glass of wine. Thank you for your wonderful review. It is great to hear you enjoyed all the benefits of our superb location and the complimentary amenities in the Hotel. I am glad the service team looked after during your stay. It is always a pleasure knowing that our guests are satisfied with our services. We all look forward to greeting you with a warm welcome soon. Please let me know if there is anything I can assist with on your next reservation at the Ashburn Hotel.